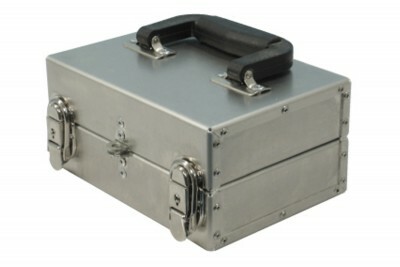 This is a small but very handy ammunition box made of all aluminum material. This case has 2 keyed locking latches and an area for a padlock. Made for the international traveler, this case will hold two boxes of dangerous game ammo and can be easily carried in your backpack.